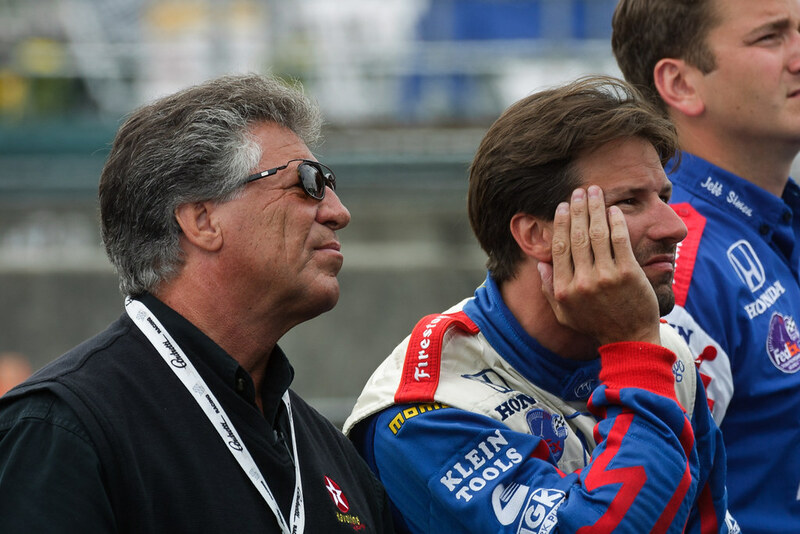 Mario and Michael Andretti watch the timing and scoring results during Friday practice for the 2001 CART race at Portland International Raceway. Although both father and son had been quick at Portland in the past (each was a multiple race winner here), as you can probably guess from their expressions, Michael was having trouble finding speed on this day. Saturday wouldn’t go much better as he qualified 16th, but in the race he’d improve to finish 8th. Regardless I loved seeing them and spent quite a bit of time at the Team Motorola pits hoping for a chance at a picture. This entry was posted in Sports and tagged CART, IndyCar, Mario Andretti, Michael Andretti, Oregon, Portland, Portland International Raceway, racing, Team Motorola. Bookmark the permalink.